﻿ Soda Pharm - Ohio. Find It Here. Soda Pharm is the latest venture of the dynamic husband and wife team of renowned author Dawn Combs (M.A. Ethnobotanists and certified herbalist) and her husband Carson (M.A. City Planning and Landscape Architecture). After making beloved herbal products for fifteen years from their Mockingbird Meadows farm, it was time to have a little fun. Both Dawn and Carson believe that health should be accessible to everyone... regardless of where they are in their health journey. The couple missed bubbles and the fun of soda. Believing that no one should have to give up the fun and joy of food, theyve created a unique experience of old-fashioned soda foundation meets apothecary. 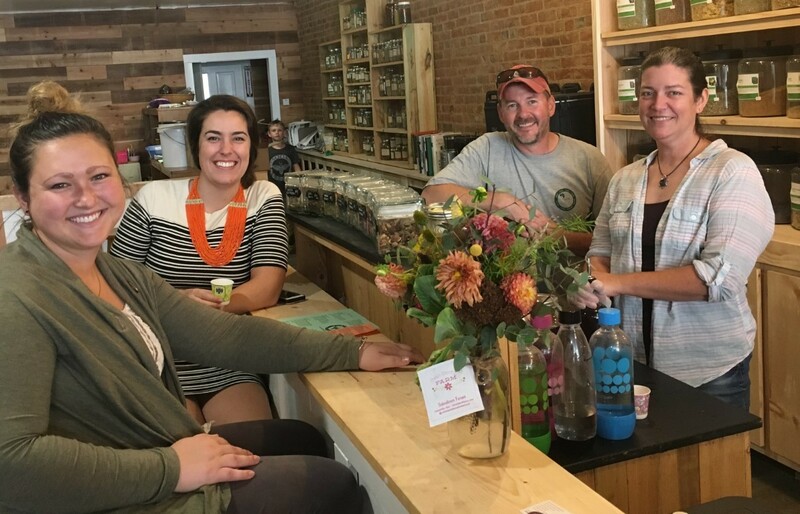 In their new eclectic space, visitors can enjoy custom-crafted healthy sodas and teas, peruse their famous line of products, participate in classes and learning experiences, and relax in an environment that heals and restores.